This is a liquid 1 oz dropper bottle of a Massively Powerful Booster for your Metabolism!!!!! There are many minerals that seem to have been systematically removed form our diets. I say systematically as the root causes for Diabetes, heart disease, AIDs, cancer are clearly known and many of these diseases have been resolved in animals already*. Clearly the current disease epidemic is not merely a “mistake” made by well intentioned, albeit misguided mad scientists. We also know from human and animal studies that essential minerals never occur in a uniform blanket around the crust of the Earth, they occur in veins like chocolate ripple ice cream. Whatever essential minerals might have been in the Earth’s crust also have pretty much now pretty much depleted. An example of one such mineral is Selenium. See Harold Foster’s (medical geographer) work that so clearly delineates diseases based on soil mineral geographies. JAMA Dec. 25, 1996, Selenium Supplemented At 250 Mcg/Day Will Reduce Ones Risk Of Developing Prostate Cancer By 69 Percent. This should have been and still be front page news! No drug, I repeat no drug, has, can or ever appraoch such a feat! Yet the thugs continue to clamour for these generally toxic solutions…. “….Almost 50 years ago the mineral chromium was established as an essential nutrient at the federal offices of the National Institutes of Health by Dr. Klaus Schwarz. It was precisely for its role in blood sugar metabolism that this trace element chromium was established as essential. A molecule named Glucose Tolerance Factor (GTF) that corrected abnormal sugar metabolism was found to be composed primarily of the mineral chromium. Dr. Walter Mertz, then an assistant to Dr. Schwarz, reportedly noted at that time in 1959 “Type II diabetes is not a disease. It is the lack of a natural ingredient, known as GTF Chromium.”…. 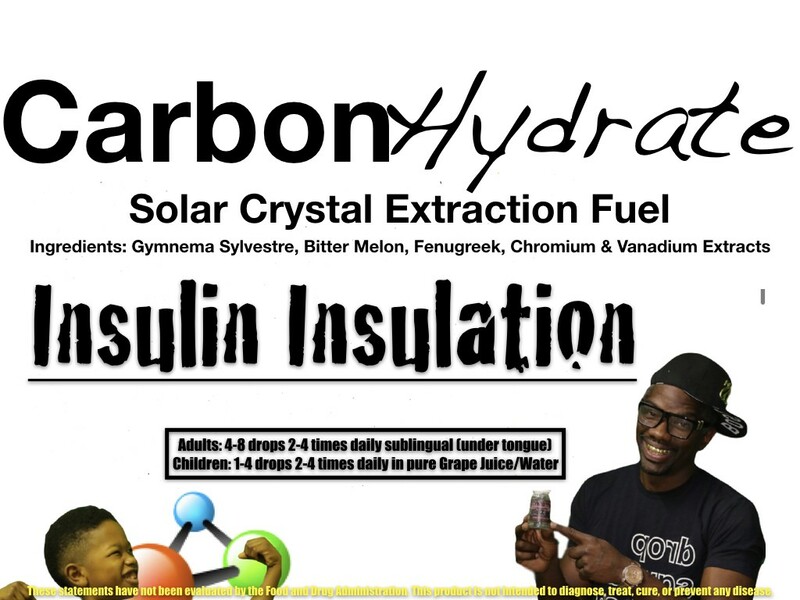 ….Chromium works together with insulin in providing sugar to the cells for energy. If chromium levels decrease then sugar delivery to the cells from insulin decrease accordingly. Insulin is a transport mechanism. It is like a truck that transports glucose to the cell. At the cell destination there is an insulin receptor site that is comparable to a loading dock. This is where the glucose is unloaded and passed into the cell. Chromium rich GTF molecules are in essence dock workers that assist the sugar (glucose) from the insulin “truck” at the insulin receptor site “loading dock” into the cell. If there are less and less GTF chromium “dock workers” then the work of providing sugar to the cells for energy slows and becomes unproductive. A traffic jam of insulin “trucks” in the blood stream results in higher and higher levels of blood sugar as the problem of chromium deficiency increases with the passing of time…..
….Whole wheat and raw sugar from sugar cane are rich in chromium. The refining of whole wheat into bleached, white flour removes 91 per cent of that chromium. The refining of raw sugar into white sugar removes 98 per cent of that chromium. The refined flour and refined sugar are quickly reduced in the body into simple sugars that require chromium to be efficiently metabolized – chromium that is substantially no longer there. The most important component for your body to use the refined flour and refined sugar is very nearly entirely removed. This turns foods wholly good for you into those which are essentially unholy foods to you…..
…Quite literally every time you consume a refined, white flour or refined, white sugar product your body loses chromium…. There is a dramatic increase of children developing adult onset diabetes in the last ten years. Imagine that. Children are developing adult onset diabetes before they even become adults! The field of medicine is baffled but I am not baffled at all. This is only the logical end result of the SAD choices of the past 80+ years…. ….Few, if any, scientific researchers of the last 100 years were more accredited and experienced researchers regarding cardiovascular health than the late Dr. Henry Alfred Schroeder, M.D., a long time Dartmouth University professor. Dr. Schroeder identified chromium deficiency as the primary cause of heart disease. I think that is a little overly simplistic, but chromium deficiency is most certainly a primary part of the problem with heart disease. Dr. Schroeder noted that cholesterol increases were linked to sinking levels of the trace element chromium more than 30 years ago. “The result is a prevalent disease, in this case, atherosclerosis,” concluded Schroeder, about chromium deficiency. Schroeder noted chromium supplements that are grown rather than concocted by man in his laboratories to be “100 times more active”. He expressed great hope for atherosclerosis and diabetes when these grown source chromium supplements became available. It was not until after his death during the 1970s that these supplements became available. They have been tragically ignored ever since. My own personal observations with a great many individuals have confirmed the postulations from Dr. Schroeder and his research. Reductions of LDL and total cholesterol levels, and increases in HDL levels are consistently noted with use of chromium supplements from grown origins. Reductions of triglyceride levels have been noted as well. It is the right form of chromium (that which is grown) in the right amount (100 micrograms three times daily) that has been consistently shown to help diabetics – and almost any and every other individual for their life and living. I should note that I did not pull out of a hat 100 micrograms three times daily or through some extensive trial and error. Human studies 40 years ago determined that 200 to 290 micrograms of dietary chromium intake “maintained chromium equilibrium”. In other words, that is how much chromium you need to take in so that you don’t lose more than you use. It was noted that chromium intake from SAD choices at that time varied from 50 to 200 micrograms daily with an average of about 60 micrograms daily. However, it was also noted that a diet considered adequate in all other nutrients could contain as little as 5 micrograms of chromium. This deficiency of chromium is a very serious one of very long standing. Today the average chromium intake is noted as much less than even 60 micrograms daily. Briefly, there is gestational diabetes and prevention of birth defects regarding the beginning of new life. Then there is energy production. OK, that is not a disease matter UNLESS you want to get into hypoglycemia and Chronic Fatigue Syndrome. People have greater energy and also feel better due to mental health issues. You know, the brain uses more sugar than any other organ in the body. Vision loss is another hallmark of chromium deficiency and that is why there is much more vision loss with diabetics than with non-diabetics. Cancer is another condition in which chromium is of profound importance. “DIABETES is the number one shame of the “orthodox” doctors in the 20th century. Diabetes is easy to prevent, easy to cure and treat (in laboratory animals and probably in humans) so you can avoid all of the terrible side effects (i.e. blindness, hypertension, amputations, early death, etc.). Since 1958, it has been known that supplemental chromium will prevent and treat diabetes as well as hypoglycemia. Just ask any health food store owner or N.D.! Walter Mertz (the director of the U.S.D.A. field services) published the facts associated with chromium and diabetes in the Federation Proceeding. Here is the ultimate case of a whole specialty of medicine which could be wiped out by universal chromium supplementation. Nevertheless these facts are kept secret and away from the public for purely economic reasons. Additionally, in 1985, the medical school at the University of Vancouver, BC, Canada stated that “vanadium will replace insulin for adult onset diabetics.” Chromium/vanadium and the diabetes story should be on the front page of the newspaper in the same bold print as VE DAY instead of announcing things like artificial heart pumps that will temporarily save one life for $250,000! The diagnosis of diabetes is very easy to make and it should be considered in any disease where there is a chronic weight loss or weight gain. Frequent urination and chronic thirst are warning signs that should be explored. A six-hour Glucose Tolerance Test (GTT)** will show a steep rise of blood glucose at 30-60 minutes to over 275 mg % and may keep rising to over 350 and stay elevated after 4-6 hours. The urine should be tested for sugar with the “dipstick” test every time the blood is tested for sugar. A positive diabetic will always include a positive urine sugar during the six-hour GTT. A morning fasting urine sugar test is useless for the initial diagnosis of diabetes. Blood of the diabetic is also typical in that the lipids and cholesterol are elevated as well as the sugar. Treatment of diabetes should include chromium and vanadium at 250 mcg/day in the initial stages to prevent “insulin shock” (sudden dropping of blood sugar because of a relative insulin overdose). Keep checking urine blood sugar before and after meals, and as the blood sugar level drops you can adjust your insulin or pill medication just like you have been taught. You will also need to deal with food allergies that cause celiac-type intestinal lesions (i.e. wheat gluten, cow’s milk, soy, etc.) and supplement with betaine HCl and digestive enzymes at 75-200 mg t.i.d. (three times a day) before meals. Have patience; the intestinal lesions take 60-90 days to heal. Treatment of diabetes should also include zinc at 50 mg t.i.d., B complex at 50 mg t.i.d. (be sure to include niacin which is part of the GTF “glucose tolerance factor”), essential fatty acids at 5 gm t.i.d., B12 at 1,000 mcg/day, bioflavonoids including quercetin at 150 mg/day, copper at 2-3 mg/day, lecithin at 2,500 mg t.i.d., and glutathione at 100 mg/day. High fiber, high complex carbohydrate diets are recommended. No natural or processed sugar and carbohydrates should be consumed. Eat meat, eggs, and poultry three to six times per day to stabilize blood sugar in the beginning stages of the therapy. Every time you eat processed carbohydrate (i.e. sugar, honey, alcohol, mashed potatoes, etc. ), you will loose 300 percent more chromium in your urine than when you consume complex carbohydrates! Herbs are useful in treating diabetes and may include licorice (Glycyrrhiza glabra), jaborandi (Pilocarpus jaborandi), yarrow (Achillea Millefolium), Canadian fleabane (Erigeron canadense), and Jerusalem artichoke. Plant derived colloidal minerals are fantastic for diabetics! **Six-hour GTT: A FASTING BLOOD SUGAR ALONE WILL NOT DIAGNOSE HYPOGLYCEMIA OR DIABETES IN 98 PERCENT OF THE CASES; THERE ARE NO SHORT CUTS TO THIS DIAGNOSIS!!! A finger prick is done in the morning while fasting and the fasting blood sugar level is recorded (normal is 75 mg % give or take 5 points). Then 100 gm of glucose (Glucola) is ingested and a finger prick blood glucose is taken 30 minutes after ingestion and the results recorded. A finger prick blood glucose is taken at 60 minutes after ingestion of the glucose and at hourly intervals thereafter for a total of eight finger sticks (easy to remember as you have eight fingers!). It is of extreme importance to have an observer present during the entire test, not because the test is dangerous, rather because behavioral changes are best recognized by someone else. Having the “patient” write their name, draw pictures, etc. can be very useful, especially in children where they may have a difficult time describing how they feel. These tests and observations should be done every 30 minutes during the six-hour test. A chart is then developed using the numbers gathered to assess the patient’s glucose status. Hypoglycemia exists when the low during the test drops below the level of the starting fasting blood sugar level. Elevated blood sugar can produce behavioral changes as the blood sugar rises after a meal much in the same way that alcohol or drugs do (in fact, many hypoglycemics are falsely accused of being intoxicated!). Diabetes can be diagnosed when the total of the results of the fasting, at the 30 minute, one hour, and the second hour blood sugar test exceeds 600 mg % and there is sugar in the urine during the test. – Dangerous Grains: Why Gluten Cereal Grains May Be Hazardous To Your Health by James Braly M.D. and Ron Hoggan M.A. Industrial chromium, a completely different form than that found in foods, is toxic. People with diabetes who take chromium should be under medical supervision, since their insulin dosage may need to be reduced as blood sugar drops. Many studies detailing chromium’s benefits have used chromium picolinate, an easily absorbed form. Chromium nicotinate and amino acid forms of chromium are less easily absorbed than chromium picolinate but can supply adequate amounts of the mineral. The least absorbable form is chromium chloride, which is found in some multivitamin/mineral supplements. When sufficient levels of chromium are present much lower amounts of insulin are required. Diabetes has been shown to develop as a consequence of chromium deficiency in experimental animals and in humans sustained by prolonged total parenteral nutrition. Chromium deficiency is relatively common in patients with Type II diabetes and may impair the function of GTF, causing the uptake of glucose into cells to become less efficient. Impaired chromium metabolism may also play a role in diabetes of pregnancy. High insulin levels also seem to increase chromium excretion. The results of several studies suggest that chromium may play a role in controlling diabetes and heart disease. For example: Diabetes. In one study, 180 people with type 2 diabetes were randomly assigned to receive 100 mcg elemental chromium, 500 mcg elemental chromium, or a placebo. Four months later, those taking either dose of chromium scored significantly lower on their fasting and two-hour insulin level tests, indicating improvement in their disease. Those taking the higher amount of chromium were also found to have lower total cholesterol levels. – The Side Effects Bible: The Dietary Solution to Unwanted Side Effects of Common Medications by Frederic Vagnini, M.D. and Barry Fox, Ph.D. Very small amounts of organic Chromium are found in the blood. That small amount is extremely important in aiding insulin in glucose metabolism. Chromium is the active factor in the substance GTF-glucose tolerance factor. It makes insulin more effective. In fact without Chromium insulin can’t do its job. It can help prevent diabetes or hypoglycemia or help those with diabetes and hypoglycemia get by with less insulin. As one gets older less Chromium is retained in the body. Also, a fetus may rob the Chromium stores of pregnant women. A deficiency of CoQ10 has been linked to diabetes. Chromium – a trace mineral depleted by diabetic medication, excess iron, processed foods, refined carbohydrates, and sugar. Chromium is necessary for maintaining stable blood sugar levels through proper insulin utilization. Chromium assists in the treatment of diabetes and hypoglycemia. A deficiency can produce glucose intolerance (especially in diabetics). Deficiency symptoms parallel those of diabetes. Diabetes and coronary heart disease have been linked to low chromium concentrations in human tissue. – A Drug-Free Approach To Healthcare, Revised Edition by Dr. David W. Tanton; Ph.D. Symptoms of chromium deficiency – increased glucose, insulin, total cholesterol, and triglycerides – resemble those of prediabetes. This certainly doesn’t mean that chromium alone will reverse prediabetes; however, many studies have shown that either chromium polynicotinate or chromium picolinate supplements do in fact improve insulin function and can lead to improved glucose tolerance. 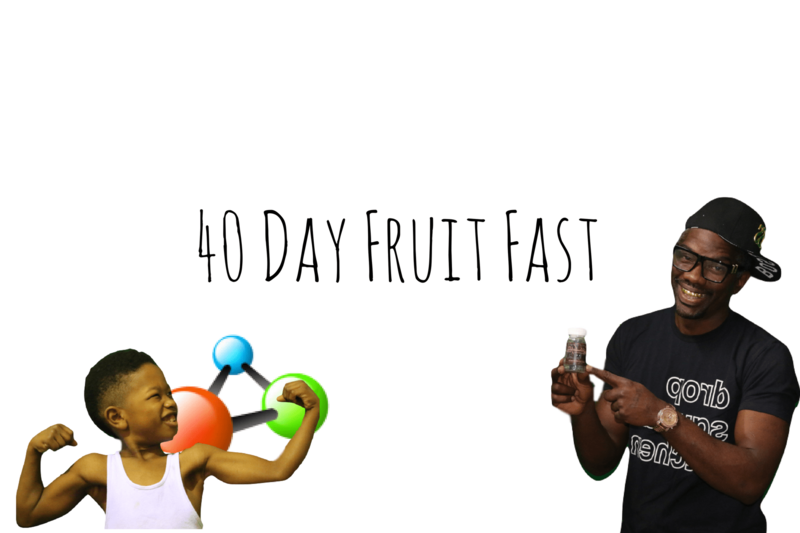 Based on the research, the most effective dose of chromium appears to be 1,000 mcg, or 500 mcg twice daily with meals. Executive Director, Chromium Information Bureau, Inc.
Chromium is an element; that is, it is one of the basic building blocks of all things, both living and non-living. And, like certain of the elements such as carbon, nitrogen, iron and calcium (among others), chromium plays an essential role in our life and health. Chromium’s function in our bodies is critical: without it, the hormone insulin would not work. Most people are familiar with insulin as the shot diabetics give themselves in order to control their high blood sugar. But, what most people don’t realize is that insulin is the “master hormone” of our metabolism; it not only controls blood sugar levels and many other aspects of carbohydrate breakdown and storage, but also directs much of the metabolism involving fat, protein and energy (calories). The chromium that our bodies require is called trivalent chromium, which means it has a net electronic charge ( the major determinant of how it will react chemically with other molecules) of plus three (3+). The precise way in which trivalent chromium (symbolically written as Cr3+) affects insulin’s actions is not presently known but is under active investigation. 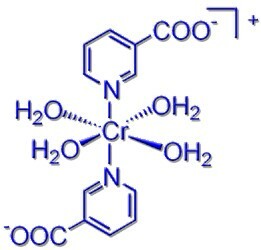 There is another type of molecular chromium with a valence of six (Cr6+ or hexavalent chromium), which unlike trivalent chromium, does not occur naturally in significant amounts. Hexavalent chromium forms as a byproduct of certain industrial processes (such as the making of stainless and hard-alloy steels and in the manufacture of certain pigments; the name chromium comes from the Greek word for color). Hexavalent chromium has been shown to be carcinogenic; however, it is important to understand that the cancer-causing potential of hexavalent chromium has nothing whatsoever to do with dietary or trivalent chromium; there are many other examples of different molecular forms of the same substance having completely distinct chemical and/or biochemical properties (oxygen and iron come readily to mind). Trivalent chromium has been tested over several decades and has never been shown to cause cancer in any animal ever studied. And, it should be noted that trivalent chromium cannot change into hexavalent chromium inside the body. It was known by the 1950s that chromium was required by animals to control blood sugar, but it wasn’t until the 1970s that chromium’s essential role in humans was clearly proven. This proof came accidentally, as a result of a new procedure that had been introduced to nourish hospitalized patients who could not take in any food by mouth. This procedure, giving specially made feeding solutions directly through the patient’s vein, is referred to as Total Parenteral Nutrition or TPN. TPN was designed to give patients all the carbohydrates, proteins, fats, vitamins and minerals they needed to maintain health until they could once again eat normally and obtain these nutrients from food. Some of these patients who had been fed intravenously for months developed high blood sugars just as if they were diabetic (which they weren’t). The doctors then had to start insulin therapy in order to treat this diabetes-like condition and even then the insulin they were given didn’t appear to work as well as it should have. Since it was already known that chromium was necessary for insulin action, it was thought that this trace element may have been lacking in these patients’ TPN solutions. Thus it was deduced that these patients were showing signs of very severe chromium deficiency. The physicians caring for them then added chromium in very small amounts less than 50 micrograms (abbreviated as mcg; equal to 1/1000 of a milligram) to their IV feeding solution and quickly noted an improvement. The patients no longer required insulin injections, and their blood sugars and other abnormalities returned to normal. After these cases of chromium deficiency and its serious consequences were reported, medical and nutrition experts agreed that chromium was an essential nutrient for humans and advised health professionals administering TPN about the danger of omitting chromium from the solutions. Both the Food and Drug Administration (FDA) and the Food and Nutrition Board of the National Research Council (the quasi-governmental body that determines the Recommended Dietary Allowances or RDAs ) have therefore designated chromium an essential nutritional trace element. Although insulin mainly works in muscle, fat and the liver, this hormone also exerts profound effects on many other body tissues. Insulin is the primary hormone that controls how the body’s cells absorb, use and store nutrients and energy. Besides regulating the cellular absorption and utilization of glucose, amino acids (the building blocks of protein) and fatty acids, insulin also activates and inactivates enzymes (the protein catalysts for the body’s biochemical reactions) and directly affects certain genetic processes including protein synthesis. While trivalent chromium works with insulin to move glucose into cells, we currently do not know how many other critical actions of insulin require chromium to function. However, regarding the insulin-induced movement of glucose into cells, it is likely that chromium is either involved with the binding of insulin to its receptor (the site on the cell membrane which responds to signals from biochemical messengers such as hormones, drugs and nutrients and then stimulates or inhibits specific cellular functions) or with certain of the reactions which take place after the initial receptor site activation, reactions that are referred to as post-receptor events. Because of chromium’s connection to insulin function, it should come as no surprise that most of the research with this trace mineral relates to diabetes or to non-diabetic persons who develop high blood glucose levels after ingesting simple sugar. There are at least 16 clinical studies, which have tested specific chromium compounds in such patients using proper scientific methods (other studies on chromium supplementation in diabetics which used questionable methods in their study design are not included in the following summary). While three of the 17 properly designed studies showed no benefit of chromium supplementation in diabetics, 14 did show blood glucose improvements in the patients tested. For example, a recent study that has been reported (which was presented in 1995 at the annual meeting of the American College of Nutrition) showed dramatic improvements in blood sugar using less than one milligram of supplemental chromium picolinate in a group of women who developed gestational diabetes (that is, they showed symptoms and signs of diabetes only during their pregnancies). The latest study to examine the issue of chromium supplementation and adult-onset diabetes was presented in June, 1996 at the annual Scientific Sessions of the American Diabetes Association held in San Francisco, CA. Researchers from the Human Nutrition Research Center of the United States Department of Agriculture collaborated with Chinese researchers from the Beijing Medical University. They randomized 180 adult-onset diabetics into 3 groups of 60 each: one group received placebo twice per day, the second received 100 mcg twice daily of chromium as chromium picolinate and the third received 500 mcg of chromium as chromium picolinate twice daily. Their blood work was examined at baseline, at 2 months and at 4 months. The patients were told to remain on their anti-diabetic medications and continue with their diets and activity levels as before. The results were impressive: blood glucose, insulin levels, cholesterol and glycated hemoglobin (a measure of blood sugar control over the previous few months) all decreased, with the higher dose generally (but not always) more effective than the 200 mcg. How could such tiny amounts of chromium have such profound effects on insulin’s action? Again, the answer is not known with certainty, but the evidence so far suggests that chromium strengthens certain effects of insulin on the body’s cells; in other words, it doesn’t work by stimulating the body to make more insulin, but rather chromium makes the insulin, which is present function more effectively in the cells of the body. When the body does not respond to insulin in the normal manner, doctors refer to this as insulin resistance. Insulin resistance signifies that the insulin, which is circulating in the blood, is not able to have its usual effects on various tissues in the body. This is not the problem with the type of diabetes (referred to as type I or juvenile-onset) that strikes young children: these individuals cannot make insulin anymore and thus must take it by injection. However, most diabetics suffer from maturity-onset diabetes (or type II; increasingly referred to as NIDDM or non-insulin dependent diabetes mellitus; this type of diabetes affects 90% of people with the disease). It is these patients with NIDDM who demonstrate insulin resistance and are the ones most at risk for chromium deficiency and its consequences. Further, there is some evidence that marginal chromium deficiency may be important in other areas of health and disease. These other diseases where chromium may be important are some of the most common and significant illnesses of industrialized nations (see below). “Based on current knowledge of chromium function and nutrition, the possibility cannot be ignored that inadequate chromium status may be responsible in part for some cases of impaired glucose tolerance, ‘hyperglycemia, hypoglycemia. glycosuria [sugar in urine], and refractoriness to insulin.” Modern Nutrition in Health and Disease, Eighth Ed.., 1994. Shils, Olson and Shike, eds. It is important to note that persons with diabetes who are on insulin or other anti-diabetic medications should check with their doctors before supplementing their diets. Because chromium may decrease the amount of insulin resistance present, it may change the type or amount of medication needed to treat the diabetes and/or the frequency with which blood sugar monitoring needs to be done. This is especially important for those persons with diabetes who are under tight blood glucose control. Adding supplemental chromium in this situation has the potential to cause low blood sugar (hypoglycemia). The combination of obesity, diabetes, hypertension (high blood pressure) along with abnormalities in blood cholesterol and fat (lipid) has long been noted in the medical literature. By the late 1980s, a noted diabetes expert from Stanford University (Dr. Gerald Reaven) proposed that the basic combination of high blood sugar, high blood pressure and abnormal blood lipids all constituted disease that was based on increased insulin resistance; he noted that while increased insulin resistance is the first step in the development of maturity-onset or type II diabetes, it is the body’s response to the insulin resistance which determines whether or not the individual becomes a diabetic or not. “Even if high blood sugar does not develop, insulin resistance does not appear to be a good thing to have: The fact that an insulin-resistant subject may not become diabetic does not mean that they suffer no untoward consequences. Indeed, an argument can be made that the more insulin sensitive an individual, the better off he or she is, and that the attempt to compensate for insulin resistance sets in motion a series of events that play an important role in the development of both hypertension and coronary artery disease.”Reaven GM. 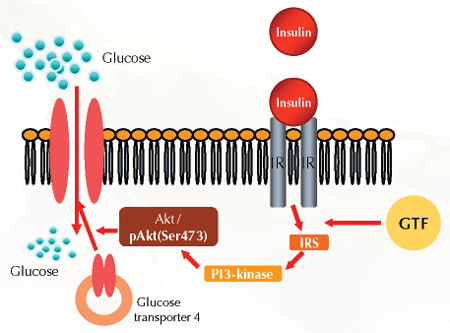 Role of Insulin Resistance in Human Disease. Diabetes, 37:1595, Dec., 1988. Since chromium reduces insulin resistance, this essential trace element could therefore have wide-ranging effects on high blood pressure and abnormal blood lipids in addition to lowering blood sugar. However, Dr. Reaven did not connect any insulin resistance to possible marginal chromium status, and we cite him here only to point out his contribution to describing this syndrome. It is also important to note that while studies in peer-reviewed medical journals have shown that chromium supplementation lowers blood lipids such as triglycerides, for now there are no human data on chromium and blood pressure. Another area that is gaining more interest lately is the possible effect of chromium on body composition; that is, how chromium affects the relative amounts of lean body mass (mainly muscle) compared to the amount of body fat. At present, there are positive results from studies with four separate animal species supplemented with chromium picolinate: pigs, lambs, rats and chickens. In all of these species, there were increases in muscle mass and decreases in fat body mass. And, in the case of pigs, these findings have been confirmed by several additional studies. For humans, however, the evidence was not as clear until quite recently. In October, 1996 a study published in a peer-reviewed medical journal looked at 154 slightly overweight individuals split into three groups who were supplemented with either 200 mcg of chromium as the picolinate compound, 400 mcg of chromium as the picolinate compound or a placebo. Previously, some human studies had shown either no effect, an effect similar to that seen in animals (that is, reduction in fat and increase in muscle) or an effect in women but not in men. The main problem with these older studies was that they had looked at very few individuals sometimes as few as 12; so, while it appeared that chromium was having an effect on body composition, since there were so few persons involved in the studies we could not be absolutely certain. Further, some of the prior studies looked at young athletes (such as college football players) who, because of their high degree of fitness upon entering the study would not, in all likelihood, make the best subjects in which to observe these changes. This latest study examined average Americans in Texas who were given no special instructions in diet or exercise just the chromium at either dosage level or the placebo. The study was double blind and randomized. What these researchers found after the 72 days of the study was a statistically significant difference in the chromium groups vs. the placebo group in change of body composition index (BCI, a sum of the loss in body fat plus the gain in muscle mass) loss of body fat and total weight loss. While the mechanism of action whereby chromium has this apparent effect is not known, it is interesting to note that therapies for diabetes that increase insulin levels in the blood are associated with weight gain (insulin injections and sulfonylureas such as Diabinese and Micronase) while therapies that decrease insulin levels (such as Glucophage and the not-yet-released oral agent troglitazone) are associated with no weight gain or even weight loss. Since chromium supplementation has been associated with decreased insulin levels, it is tempting to speculate that it is through this effect (that is, decreasing insulin resistance with the attendant drop in circulating insulin) that chromium works in altering body composition. Data from U. S. Government sources show that the great majority of Americans get less chromium in their daily diets than the amount recommended by nutrition experts (the RDA Committee recommends 50-200 mcg of chromium/day; the vast majority of Americans get less than 50 mcg/day). Few foods are rich sources of chromium in the Western diet, the best being organ meats, mushrooms, wheat germ, broccoli and processed meats. It is theorized that Stone Age people ingested more chromium than modern people because they regularly ate organ meats from the animals they hunted (which contained higher levels chromium as well as other trace elements). Not only did these early people likely have a higher chromium intake than modern ones, but perhaps more important than their higher intakes, it is most likely that they lost less chromium in their urine than we do. This is because Stone Agers did not ingest nearly as much simple sugars as modern people and simple sugar intake causes chromium to be lost in the urine. These ingested sugars (such as table sugar and products made with it) bring insulin and chromium into the blood and cause chromium to be excreted in the urine after it’s through working with the insulin on the increase in blood sugar. We Americans consume an average of 120 pounds of sugar per year from all sources. Thus, we can conclude that for hundreds of thousands of years of human evolution, our ancestors most likely took in more and lost less of this essential trace element than modern Americans. Another interesting fact demonstrated in large numbers of people both in the U.S. and the U.K.–is that chromium tissue levels in humans decrease over our lifetimes. In fact, the highest tissue levels of chromium are found in newborns: they get chromium in the womb across the placenta from their mothers. There is also evidence that pregnancy depletes a woman’s chromium stores, which may be one reason that as a total population our bodies show loss of chromium as we age. From this evidence inadequate chromium intake, increased chromium losses, decreasing chromium tissue levels as we age, improvement in blood sugar in significant numbers of diabetics and pre-diabetics with modest chromium supplementation and widespread insulin resistance (25% of Americans have some degree of insulin resistance, though only a portion of this insulin malfunction appears to be due to chromium deficiency) experts in chromium nutrition urge supplementation with small amounts of this trace element on a daily basis. These experts feel that chromium supplementation for diabetics should take its place alongside the two other proven ways of decreasing insulin resistance: low-fat, high complex-carbohydrate diets for weight loss/weight maintenance and regular exercise. It is extremely difficult to poison laboratory animals with oral chromium. For example, cats fed 1,000 mg of trivalent chromium per day showed no signs of toxicity (the equivalent daily dose for a 150 lb person would be approximately 35,000 mg per day or 3.5 million mcg per day. In terms of the number of 200 mcg tablets, this would be 175,000 tablets per day for a human. On March 14, 1996, a safety study conducted by the U. S. Department of Agriculture was presented at the Society of Toxicology’s annual meeting. This study looked at various supplemental doses (including none) of chromium chloride and chromium picolinate fed to rats for 6 months, The highest doses were equal to a human consuming 5,000 tablets of 200 micrograms chromium picolinate. At regular intervals during the study the rats were weighed and blood was taken for laboratory tests. At the end of the study the livers and kidneys (organs that would have the highest tissue levels of chromium) were examined under the microscope. There were no differences in any of the measurements or examinations between the various groups. The investigators were unaware (“blinded”) as to which group the animals were in when the measurements and evaluations were performed. The safety issue had been raised by a study published in December 1995, which attempted to link chromosomal damage in the test tube to oral supplementation of chromium picolinate. These researchers used cultured Chinese hamster ovarian cancer cells to which they directly added unnaturally high amounts of chromium compounds, including chromium picolinate. Some of these cells showed chromosomal damage (clastogenic effects). This was not particularly surprising, since this concentration directly applied to these cells in a test tube was 3,000 times the blood level of people who are ingesting chromium picolinate as supplements! Very few essential minerals tested in this way would be found to be without toxicity; for example, merely doubling the blood concentration of the mineral calcium is fatal to humans. When tested by the Ames test (a specific test for mutagenicity) for cancer-causing potential, chromium picolinate was proven negative. “Trivalent chromium has such a low order of toxicity that deleterious effects from excessive intake of this form of chromium do not occur readily. Trivalent chromium becomes toxic only at extremely high amounts.- chromium then acts as a gastric irritant rather than as a toxic element interfering with essential metabolism or biochemistry.” Modern Nutrition In Health and Disease, Eighth Ed., 1994. Shils, Olson and Shike, eds. One of the main problems that has hindered a more widespread interest and possible usage of chromium by the medical profession is the fact that gauging whether or not someone is chromium deficient or not cannot easily be done. The only generally accepted method for assessment of chromium status is to supplement an individual (who has abnormalities of either blood sugar, cholesterol, triglycerides or all three) with the trace clement and see if the laboratory values improve. If they do, then chromium insufficiency is presumed. This is an expensive and cumbersome process (especially when doing a glucose tolerance test). Effect of vanadium on insulin sensitivity and appetite. Wang J1, Yuen VG, McNeill JH. Division of Pharmacology and Toxicology, Faculty of Pharmaceutical Sciences, The University of British Columbia, Vancouver, British Columbia, Canada. Vanadium, a potent nonselective inhibitor of protein tyrosine phosphatases, has been shown to mimic many of the metabolic actions of insulin both in vivo and in vitro. The mechanism(s) of the effect of vanadium on the decrease in appetite and body weight in Zucker fa/fa rats, an insulin-resistant model, is still unclear. Because insulin may inhibit hypothalamic neuropeptide Y (NPY), which is known to be related to appetite, and increase leptin secretion in adipose tissue, we studied the possibility that the changes in appetite produced by vanadium may be linked to altered NPY levels in the hypothalamus. We also examined effects of vanadium on leptin. Zucker lean and fatty rats were chronically treated with bis(maltolato)oxovanadium(IV) (BMOV), an organic vanadium compound, in the drinking water. Plasma and adipose tissue leptin levels were measured by radioimmunoassay and immunoblotting, respectively. Hypothalamic NPY mRNA and peptide levels were measured using in situ hybridization and immunocytochemistry, respectively. BMOV treatment significantly reduced food intake, body fat, body weight, plasma insulin levels, and glucose levels in fatty Zucker rats. Fifteen minutes after insulin injection (5 U/kg, intravenous [IV]), circulating leptin levels (+100%) and adipose leptin levels (+60%) were elevated in BMOV-treated fatty rats, although these effects were not observed in untreated fatty rats. NPY mRNA levels in the arcuate nucleus (ARC) (-29%), NPY peptide levels in ARC (-31%), as well as in the paraventricular nucleus (PVN) (-37%) were decreased with BMOV treatment in these fatty rats. These data indicate that BMOV may increase insulin sensitivity in adipose tissue and decrease appetite and body fat by decreasing NPY levels in the hypothalamus. BMOV-induced reduction in appetite and weight gain along with normalized insulin levels in models of obesity, suggest its possible use as a therapeutic agent in obesity.